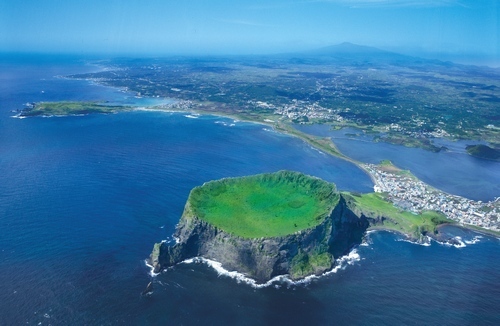 Jeju Island, Republic of Korea, 7 Sept 2016 – Experience gained using markets in the Asia-Pacific region to combat climate change can help ensure success of the global climate change agreement adopted in Paris last December. This was the consensus of the 300 participants, from 60 countries, at this year’s Asia-Pacific Carbon Forum after three days of panel discussions, meetings and presentations. China has more than 10 years of experience with carbon markets, starting with emission reduction and development projects under the Kyoto Protocol’s Clean Development Mechanism (CDM), establishment of voluntary emissions trading, seven emissions trading system (ETS) pilots and plans for a national ETS in 2017. The Republic of Korea has had an ETS since 2015, becoming the second country in Asia to introduce a nationwide cap-and-trade system, which now covers about 530 businesses. Japan is pursuing a number market approaches to combat climate change, including a Joint Crediting Mechanism similar to the CDM, a system that awards offset credits to domestic entities that reduce emissions, a voluntary ETS and an ETS in the city of Tokyo. Australia, after a few years of uncertainty and policy reversals, has stabilized its climate policy suite around its Emission Reduction Fund and the Safeguard Mechanism. The Paris Climate Change Agreement provides for (1) transferring mitigation outcomes, essentially emissions trading; (2) a new Sustainable Development Mechanism; and (3) a framework for non-market approaches. All three of these economic instruments are described in Article 6 of the Paris Agreement. "Delighted to see growing enthusiasm for the resurgence of carbon markets after the adoption of the Paris Agreement," said V.K. Duggal, Senior Climate Change Specialist, Asian Development Bank (ADB). APCF 2016 was organized by the ADB, IETA, UNFCCC secretariat and the Institute for Global Environmental Strategies, in collaboration with the Global Green Growth Institute (GGGI). The organizers would like to express their appreciation to GGGI for their great partnership in helping deliver APCF 2016. For more information on carbon markets in Asia-Pacific and elsewhere visit <https://ieta.wildapricot.org/The-Worlds-Carbon-Markets>.